Yesterday it happened again, at around 6pm local time in Spain on an early summer’s evening. 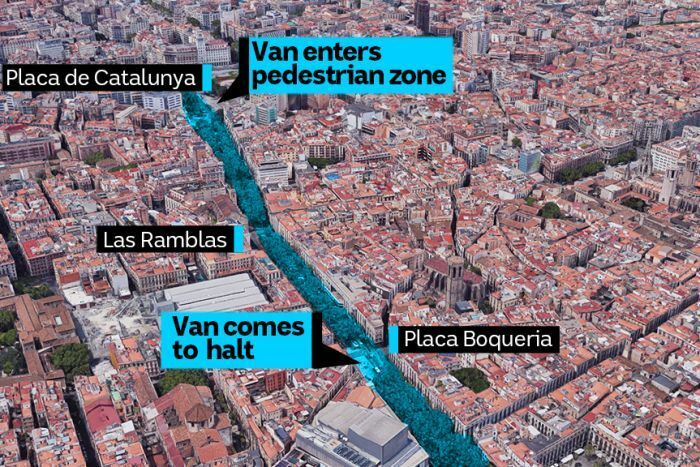 Yes, yet another vile and barbaric ISIS van attack, this time in Barcelona on the promenade street of Las Ramblas in the heart of the city, which killed thirteen people and injured 100 others. This horrific attack on innocent pedestrians left countless people bloodied and with broken limbs splayed out onto the pavement, with dead people laying out on the street like rag dolls. But, this wasn’t the only terror incident that happened yesterday in the Catalonia region or even before or after the car ploughing that happened on Las Ramblas. Our question is when will socialist left leaning news networks and leaders within the EU, call out this epidemic of mass Islamic migration and the subsequent invasion by many terrorist operatives within the influx, that are seemingly left free to roam and cause havoc, without proper vetting before they arrive on European shores and in our cities? But, CNN for example will not cover these incidents properly, since (calling it a possible terrorist attack, or another lone wolf attack or just done by a mentally ill person) isn’t giving the whole story and the BBC and many leaders with weak stances on terror, will just continue to say words like “tea candles”, “solidarity” and “we must unite” and “we condemn these attacks”, which in all honesty doesn’t do much to help the situation, does it? They will not admit that this is a war on the West and just when will they actually do that? How about from now on, perhaps? Donald J. Trump has been right all along about everything, including the dangers of Islam, ISIS operatives and their invasion and dangerous rhetoric and beliefs that’s spreading into many European nations. Perhaps, that’s why Donald Trump called this out, even on the campaign trail and which is why he has introduced a travel ban from countries with known ISIS terror training camps from entering America. 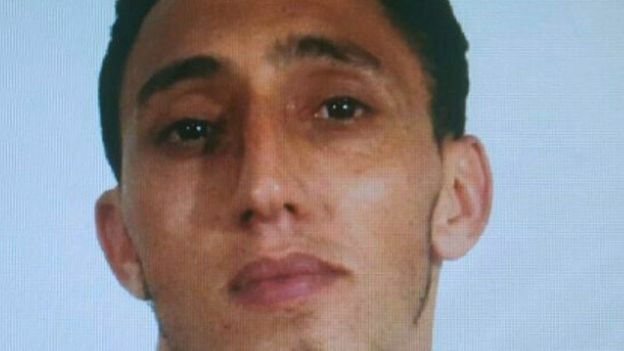 Anyway, back to the Las Ramblas car attack, once the drivers of Moroccan descent ploughed down all those people (three of them), the three terrorists later escaped the van some 500-yards down the street, they hid inside a restaurant and there was later one arrest and somebody else who turned themselves in, but the driver remained at large. But, there’s more as in Alcanar, Catalonia, 120 miles south of Barcelona, a day earlier, a curious explosion took out a whole building, killing one person and injuring six others. Police confirmed that the building full of butane gas canisters were being stored for terrorism purposes and the explosion happened on Wednesday. As logic would have it, with terrorist storing explosives, it can even take down whole buildings and burn them to a crisp, but with this explosion it also reduced the smaller house to mere rubble, with a further dead body thought to still be inside. Now could this have been a headquarters for these terror operatives that blew up on Wednesday? We think so, thus sending out these operatives to perform their mission of mass-murder on Thursday and Friday morning? So, with the driver still at large, later that night in Cambrils, a resort town, also in the Catalonia region south of Barcelona, there were gunshots at the nightlife tourist hotspot, but so far it’s claimed that only six people died, with many also presumed injured, but also the five ISIS operatives were gunned down by Spanish police that very night, as well (thank god) and clearly all these incidents are most definitely related. The operatives also use a car to try and hit pedestrians and it is yet unclear whether they had additional firearms. A story which tells of how an U.S. army general who was active from 1886 to 1922, once captured 50 Islamic terrorists in the Philippine-American war and dipped bullets in pig’s blood, then they shot and killed 49 of them, and left one man to go back and tell the story of what had happened. Now while CNN will condemn such comments and or claim that the story is false, it is clear that Donald J. Trump has been right about the problems facing Europe and he’s been right about the ongoing terror threat to many nations across the world. This terror threat is very real and leaders from European nations, with their “all people welcome” rhetoric, need to step back and admit that they’re wrong and that they need to admit that now and rectify their mistakes, because it’s clear that they are colluding to ruin our nations. Something needs to be done, to control borders and stop the radical Islamic ideology of jihad from spreading even further into our lands. We are saddened and shocked once again by these latest terror attacks. Our thoughts are with all the victims, families and to those that lost their children, loved one’s and to those that are also left with life changing injuries. World leaders need to go hard line on this epidemic of Islamic terror and they need to do it now! Plus, perhaps George Soros, Hillary Clinton and others, should now also be held accountable for their war crimes, since it would be about time, don’t you think? 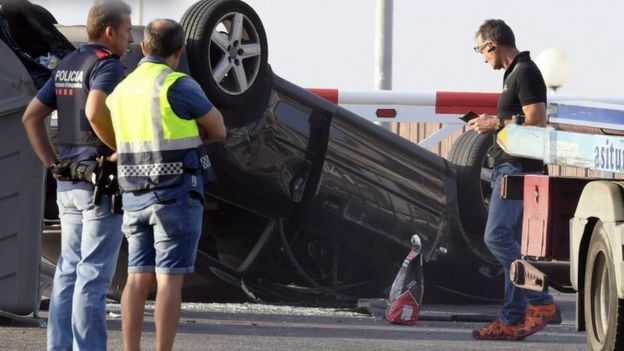 The van driver could still be on the run, unless he was gunned down in the Cambrils shootings? Let’s wait for further news updates. Something that everyone should unite behind is the war on rooting out terror! Whether domestic, abroad, or anywhere else in the world. Also the moronic left in America should not be swayed by fake news media and they finally should support their 45th President and realise that they’re being brainwashed by the Establishment media, with hate groups being funded by evil puppeteers on one side, that are trying to perpetrate a race war in the nation. Political Correctness, Islam and Socialism is a very real enemy to the whole planet. Perhaps, we will need Aliens to come down in spaceships to finally communicate that fact, to any disillusioned people?